How do you define "legacy"? How does a team get its aura? What impact does pop culture have on how we remember a team? Join Matt Coyne as he asks these questions and more to Christian Heimall and Max Wolpoff in The Cheap Seats. Christian and Max will debate the qualifiers needed for teams to claim their importance in the sports landscape, or their ability to be known as one of the greatest franchises of all times. They run down everything from Hall of Fame players, number of titles, ... Más informaciones years of existence, and how recognizeable the logo is. Then, they give their thoughts on which franchise has the greatest legacy in each of the four major sports. 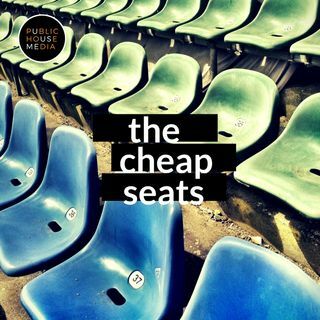 Be sure to vote on the poll question by heading to The Cheap Seats by Public House Media on Facebook. Be sure to subscribe on Apple & Google Podcasts, Spotify, and www.publichousemedia.org!